Working out is for more than just your physical appearance. And health is about more than what you eat. I actually didn't realize that the need to work out was a health thing until in my late twenties. When I got with my then boyfriend, now husband. He couldn't live without working out, while I didn't think I could live through a workout. He sat me down and discussed our family histories. The sicknesses and ailments that could have been prevented, but that we were both prone to. And at that moment I saw a clear picture painted before me. Working out has always been his relief. His source of calm in the storm that can be life. In addition to that, he always talked about researching and being mindful of what we put into our bodies. Always preferring to find a natural alternative to medicine or chemicals. Shoot, he's the reason beef and pork are not a part of our diets. So when I came to him and shared a product I found that helps relax muscles and aches, post workout, that is made up of natural ingredients, to say he was intrigued is an understatement. 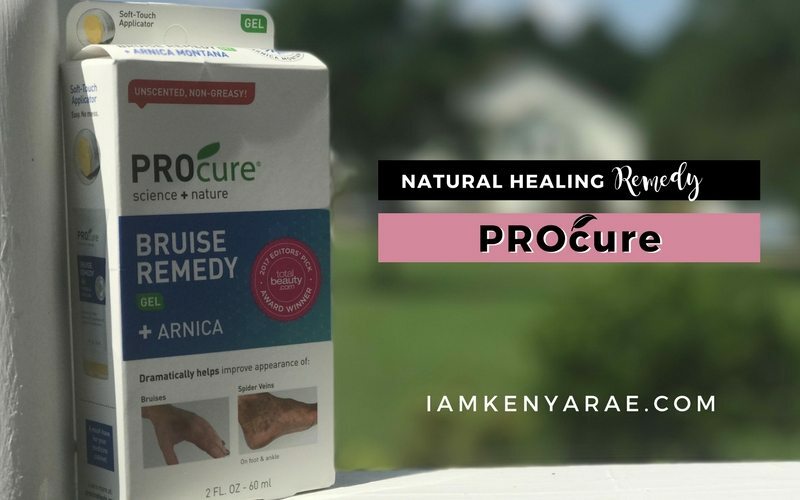 PROcure has a line of natural products designed to take first aid and healing in a new direction. He couldn't wait for me to try it out the PROcure Epson Salt Gel on a post workout back and arm rub. Any excuse to get a rub down works. Lol. PROcure is helping us to move away from the idea that healing and first aid has to contain harsh chemicals or unsafe ingredients. 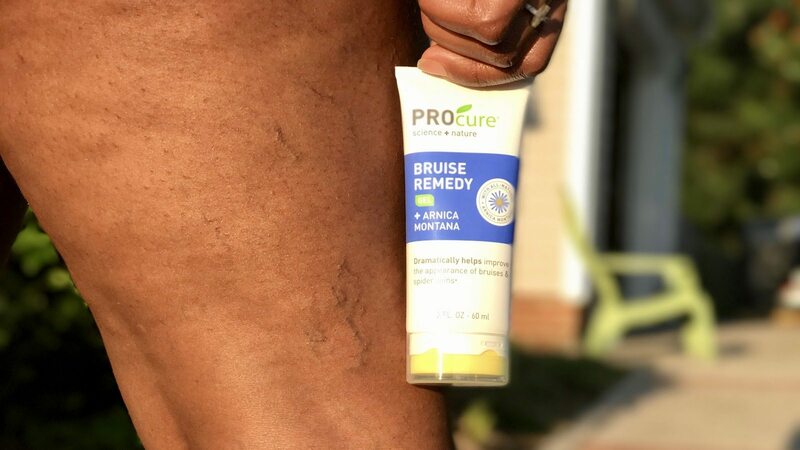 I personally, was most excited about the PROcure Bruise Remedy, that in addition to helping the healing of bruises also helps reduce the appearance of varicose veins. One of the conditions I am genetically predisposed to is varicose veins. They run on both sides of my family. Sad they didn't skip me. In a recent video share I stated that my choice of bottoms particularly are always Capri's; especially when working out. You won't see me showing off these legs, between that and this cellulite, I'm good. The balance between my love of food and my body is an ongoing one. Crazy I know. But it's real. 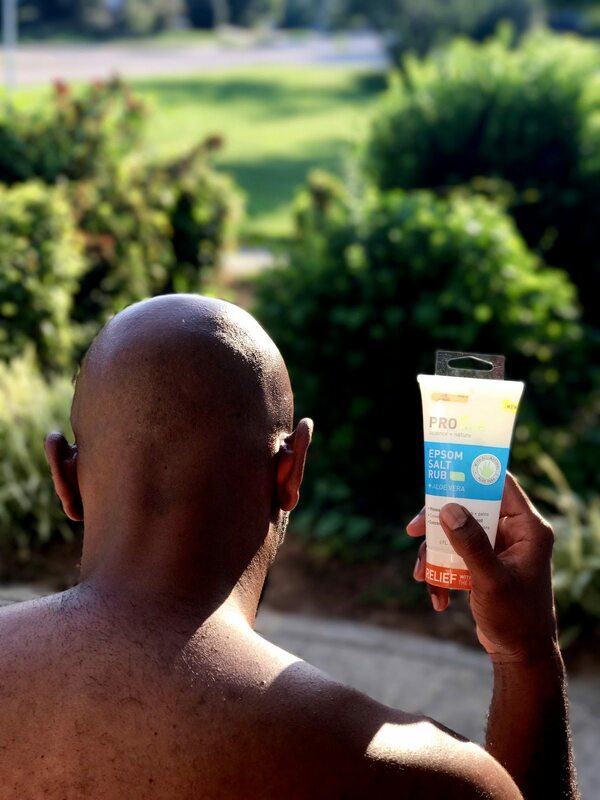 I am excited about the new PROcure line of products for me and my family. Because if I workout more, in addition to added mental clarity, potential prevention of medical ailments, and of course maintaining these curves; I can demand request more end-of-day rub downs from the old dude, AND reduce the appearance of these veins. And if for nothing else, that's a win! 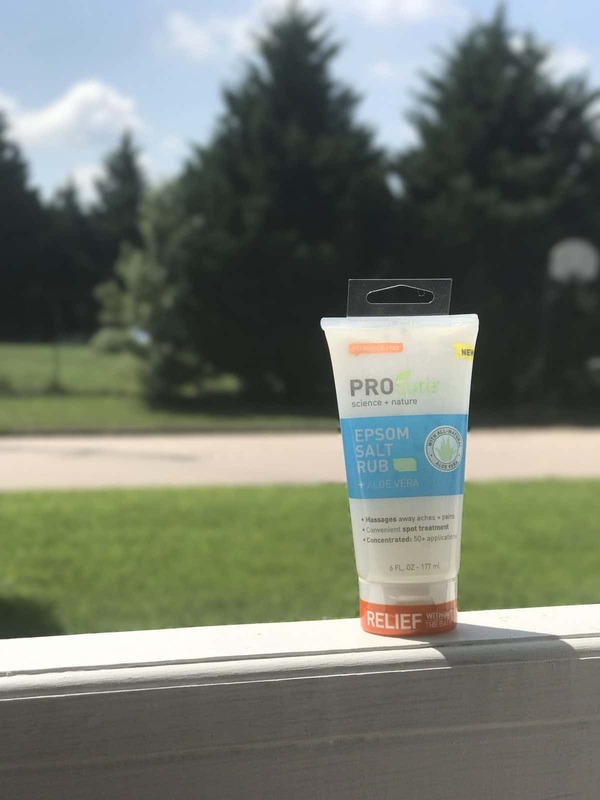 Between being a boy mom, being married to a personal trainer and wanting to use products that are more natural, PROcure satisfies several needs. You can find PROcure Products at Walmart in the First Aide Aisle, or online at Amazon. And here is a coupon to use when you go! 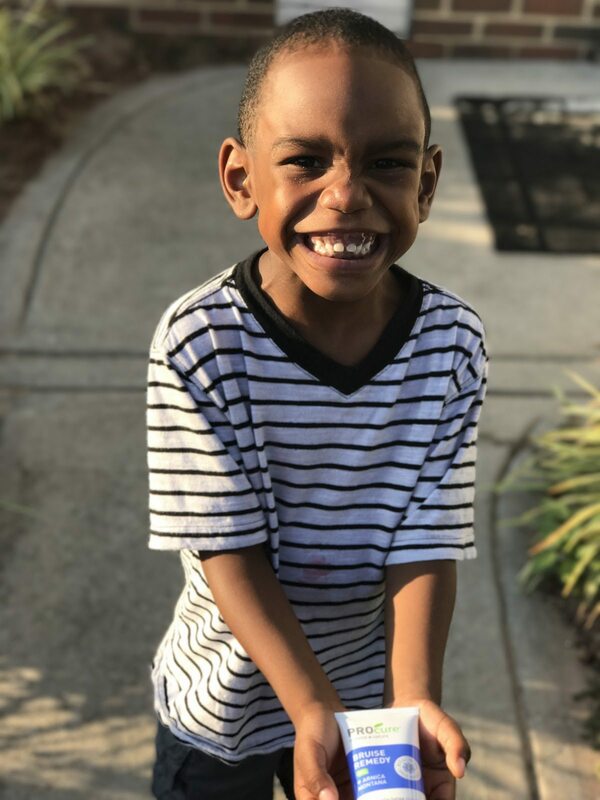 Hi Kenya, this was such a fun post to read. I love working out but I haven’t been able to do that consistently. Also you captured the PROcure products so well through your lens. So glad to learn of a product that combines both science and nature. Thank you for sharing. These products look really great! i love using epsom salts for a billion different things but putting them in a bath after a workout is the best. I’m always down for using natural methods to cure, prevent and maintain. This looks like a great product. I have never heard of a bruise remedy. That is so good to know. I am always banging my arms or legs. Will look for it next time I am shopping. This sounds like a super interesting product. I’ll have to check it out.